Hypnotherapy is a safe, non-invasive, pain free and fast acting therapy. Hypnotherapy provides the situation in which your issues can be tackled directly. This is a comfortable experience and allows long, medium and short term issues to be directly addressed. That depends on what you want. Do you want to stop smoking without willpower, control weight, reduce stress, anxiety and relieve a phobia? Do you want to stop depression from harming your life? Perhaps you wish to improve sports performance or be able to perform better in a public arena. You may wish to feel confident, pass exams and have the confidence to live your life the way you have always yearned to. This is how hypnotherapy can help you. In the first instance you are helped to feel safe, comfortable and relaxed. There is then a discussion solely about you. It is from this discussion that the therapist will determine what therapy is required for you as an individual. There is then a relaxing trance induction and you will have a journey that will help you to focus on the issues being addressed. You are guided by the therapist throughout this and will be entirely safe and comfortable. On completion you are returned to the ‘here and now’ and you will feel very relaxed and yet energised. The issues that have been addressed will be discussed and there will be a discussion to determine whether you and your hypnotherapist feel additional sessions would be necessary. 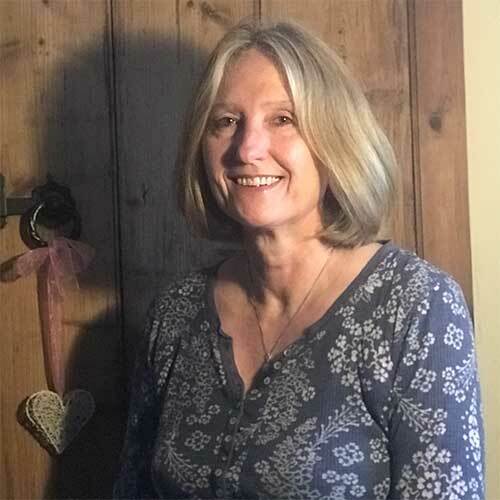 After working for over 25 years in the field of training, development and performance improvement, Jill qualified as a Clinical Hypnotherapist with the NCFE Hypnotherapy Practitioner Diploma at Life Clinics Training, the Abbey Place Clinic in Faversham. Other relevant qualifications include BSc (Hons) (Biological Sciences) and MSc (Human Resource Development). She is a registered member of the National Council for Hypnotherapy and works to their Code of Ethics and Professional Standards. (www.hypnotherapists.org.uk). Jill has had further specialised training in ‘How to Stop Anyone Smoking’ with ‘Uncommon Practitioners’. Maria graduated from the ESO in 2012 following a long career in the veterinary profession. She went on immediately to gain a post graduate diploma in clinical hypnotherapy, and has worked as a hypnotherapist in private practice ever since. She enjoys working with all kinds of individuals of all ages. Her eclectic approach and style of working enables her to use the most appropriate techniques for each person she works with. This approach to therapy results in a completely unique experience which is specifically solution focussed. Maria is passionate about hypnotherapy and its effective implementation as a therapeutic tool. She uses it to help with a wide range of issues that people are struggling to deal with.